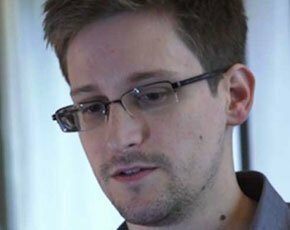 The US National Security Agency’s (NSA) cyber surveillance is not confined to matters of national security, according to whistleblower Edward Snowden. The NSA will take information from companies that is beneficial to US interests even if it does not have anything to do with security, he told a German television network. The former NSA contractor cited the German engineering firm Siemens as one target of industrial espionage, in an interview recorded in Russia and broadcast on Sunday evening. Snowden did not elaborate on what the NSA did with such information, saying he did not want to reveal the details before journalists did. Snowden’s latest claims come less than two weeks after the New York Times reported that the NSA planted software in nearly 100,000 computers around the world to conduct surveillance and create a “digital highway” for launching cyber attacks. The report said most of the software is planted by gaining access to computer networks, but the NSA has increasingly made use of a secret technology to reach computers not connected to the internet. This technology uses a “covert channel of radio waves” that can be transmitted from circuit boards and USB cards planted in computers, the report said, citing US officials and NSA documents leaked by Snowden. In addition to Chinese and Russian military targets, the technology is believed to have been used to spy on Mexican drug cartels and trade institutions in the European Union, Saudi Arabia, India and Pakistan. Snowden also used the German TV interview to say he was no longer in possession of any NSA documents, according to the Guardian. All documents have been handed over to select journalists, he said, adding that he had no control over the publication of the information. Snowden faces criminal charges in the US after fleeing to Hong Kong and then Russia, where he was granted at least a year's asylum. He has been charged with theft of government property, unauthorised communication of national security information and giving classified intelligence data to an unauthorised person. Snowden told the German TV network that despite the threat against his life he sleeps well because he believes he did the right thing by informing the public about the NSA's activities.